Women and Children: What has made this building last? 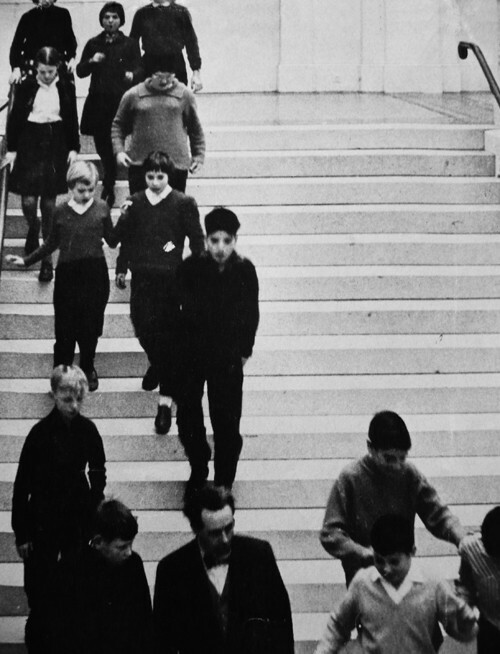 'Women and Children: What has made this building last?' contemplates the rare opportunity for the Stedelijk Museum Amsterdam, as part of it was opened to the public after years of closure and refurbishment, to be seen in an unfinished and original state. The performance piece explored the potential of this transient moment in the museum's history to provide a space for questioning, possibility and change. Conceived as a musical fanfare, the composition explores the language and politics by which a community and nation affirms, represents and questions itself through the act of celebration and memorial. 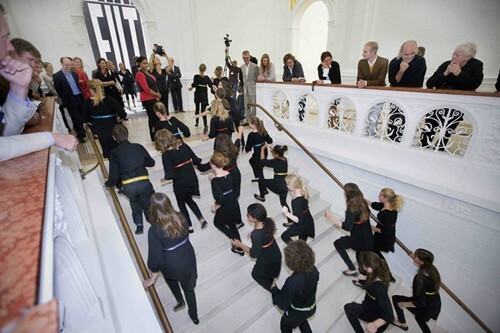 A group of children, a female brass band and a female solo singer, brought together to represent the City and Museum, gathered at the front entrance of the Stedelijk to perform a fanfare. 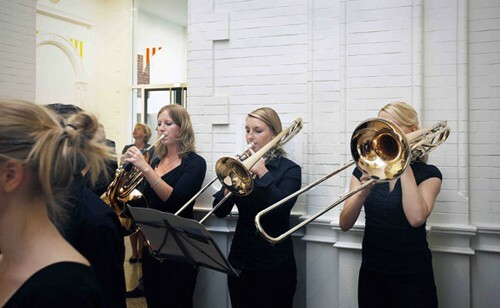 As the ‘Temporary Stedelijk’ became public for the first time in 7 years, the musicians and singers occupied the building to ask 'What has made this building last?' Resonating throughout the building, an overwhelming moment of celebration and commemoration was created. As the musicians proclaimed their question, their words interrogated both past generations, those who have recently fostered the building, their contemporaries and generations of people still to come. The piece explores the tension within the Museum's history as both a local and international museum. 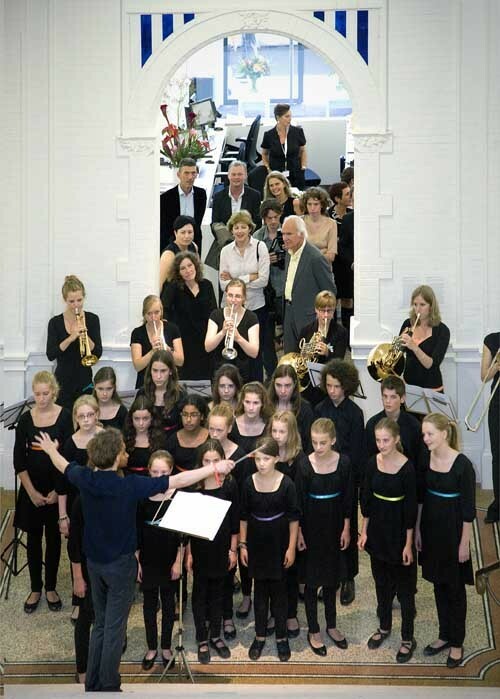 Women and children performed the fanfare, affirming the historic appointment of the first female and non-Dutch Director of the museum and pointing to the minority of female artists represented in the museum’s collection. 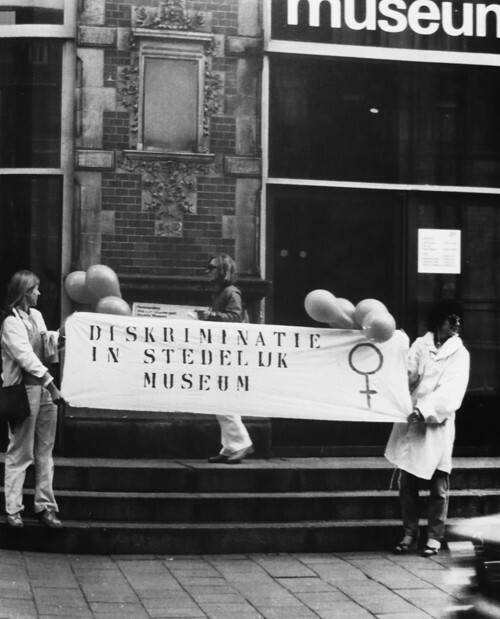 Starting at the front entrance, a historic point of protest and discussion between the city, museum and Director, the performance marked the last time that this original entrance would be used. 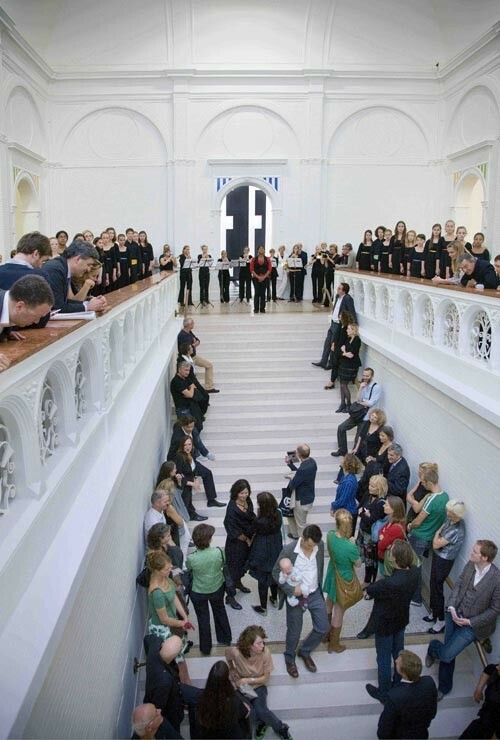 As the fanfare moved from exterior to interior and out again, the performance echoed the rhythm in which the building became public and private over the course of ‘Temporary Stedelijk’.